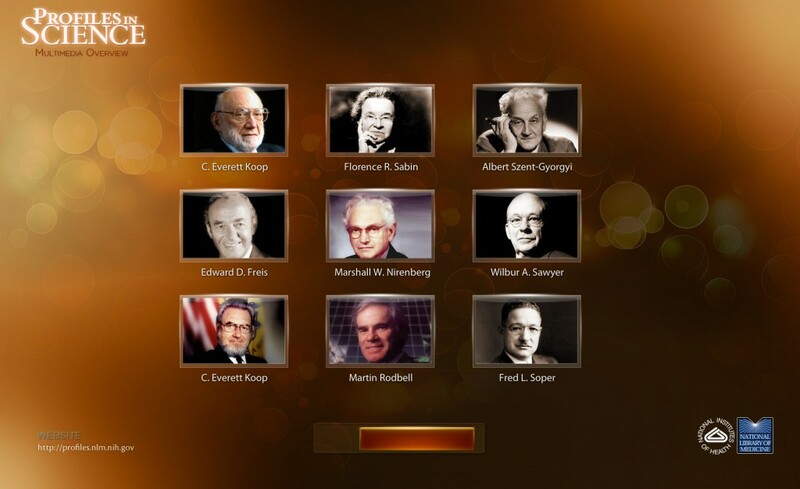 Profiles in Science - MetaMedia Training International, Inc. 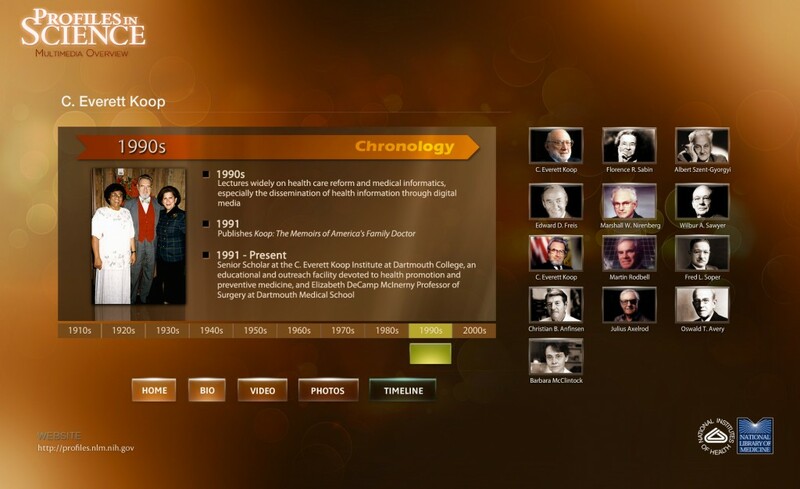 Description: For NLM, MetaMedia developed a custom museum touchscreen – one of the largest of its kind at the time, that allowed users to scroll through various profiles of scientists and browse the timelines of their lives – drawing on high definition imagery and reconstructed or newly shot video to hear their stories and discoveries in their own words. Milestones could be seen and cross-referenced to breakthroughs in their careers. 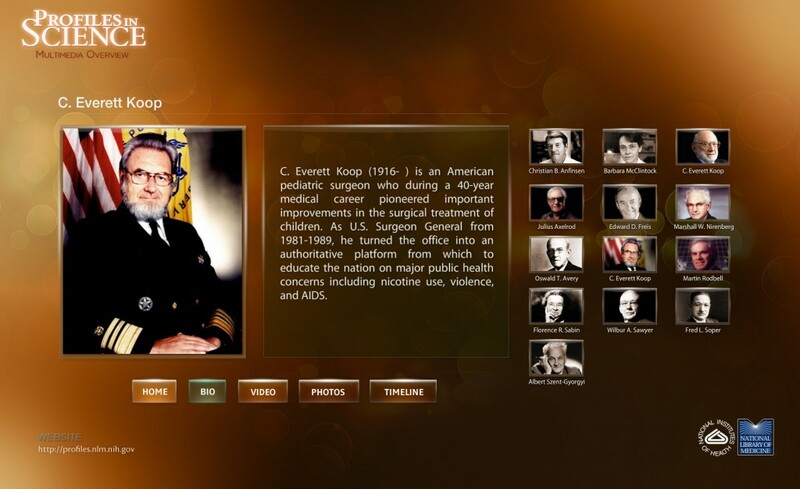 MetaMedia developed a highly engaging custom set of interfaces that involved extensive use of layered video and user-defined interactions.